is a movie that you won't want to miss. after 20 years of faithful campaigning to abolish slavery, finally succeeded in 1807 in passing an act of parliament in all British colonies. to mark the bicentennial of the passage of a key bill in the battle against the slave trade. The Australian release will be July�26, 2007. Motion pictures are powerful tools in the hands of film makers, especially in these last days. Most producers are no longer satisfied in making an escape flick or an entertaining film. the naive and the restless. Last year, we battled against the errors and inaccuracies of The Da Vinci Code. This year, we will build on the excellence and influence of Amazing Grace. general, and local Churches in particular, with a golden outreach opportunity. 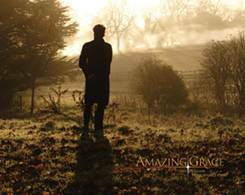 March 23 - Release of Amazing Grace Movie in UK (That was recently changed from Feb 23) & Canada. Dec 21 - Bicentenary of John Newton's Death . William Wilberforce. What godly influence and great impact! What Mr. Eternity was to Sydney, Amazing Grace is to the world! and diligent preparation, bore fruit in The Man & Story Behind Amazing Grace. of the slave trade by the British parliament, but also of the death of John Newton . So to help you strategize with an effective plan and evangelize with an enthusiastic passion, let me share with you few ideas and resources. You can use my latest gospel tract The Man and the Story behind Amazing Grace, for leaflet drop in your area and around your church. Commonwealth Games outreach in 2006. Translations are also available in Kenyan, Greek and Chinese. NSW 2190 Australia. Please include a self stamped/addressed envelop and I'd be glad to send you a complimentary copy ASAP. 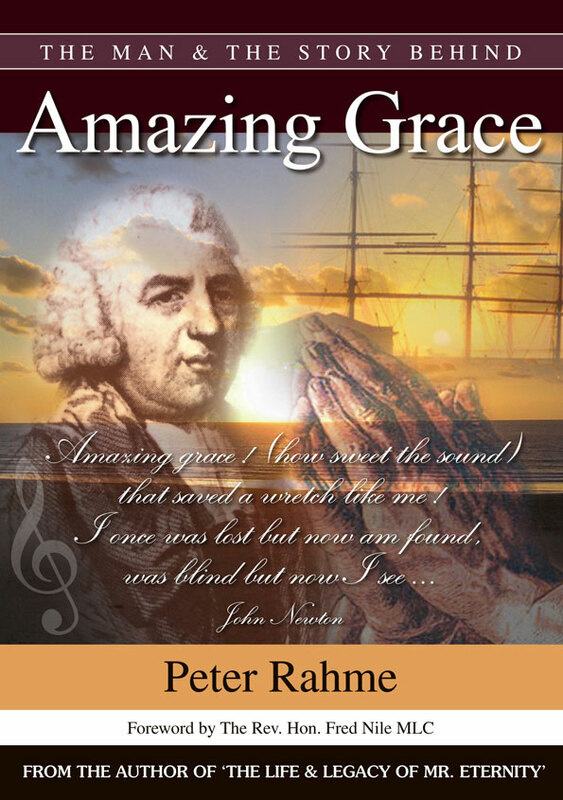 An easy to follow historical account of the soul of John Newton and the story of his Amazing Grace. You can book a cinema in your local area and invite your family and friends to an evangelistic private screening. or previews before the screening of the movie. 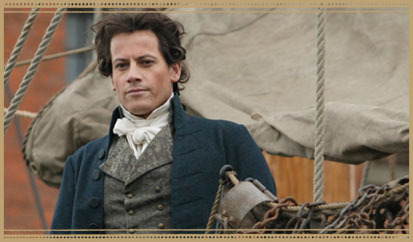 and sung ever so passionately by Wilberforce (Gruffudd), you are free to go ahead and conclude with a brief gospel challenge. As your invited guests leave the cinema, present them with a gift package, which can include the above tract and book. 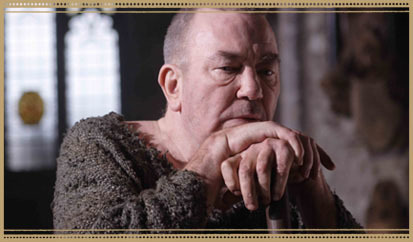 Our past movie outreaches of The Nativity Story last year, and The Passion of the Christ in 2004, were well attended. The cinemas were full. 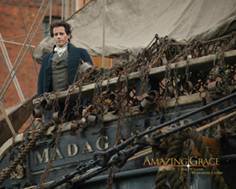 If you live in the Sydney area, you are welcome to join us for our July Amazing Grace Movie Outreaches. I have a number of them planned . You can call our church office on (02) 9742 5719� or email me on info@amazinggrace.org.au for details. God bless you as you seek to glorify Him, stand on the word of His grace, and serve Him in truth and with gladness.